Mihin Lanka, Sri Lanka‘s low-cost airline, has started flying to the Maldives from last Thursday. According to Mihin Lanka’s General Sales Agent in Maldives, Ace Aviation Services, 78 passengers were on the first flight from Colombo to Malé on Thursday while 145 passengers flew from Malé to Colombo. The airline has also started direct flights to Jakarta, Indonesia, and Dhaka, becoming the first and only airline to operate direct flights to these cities. Mihin Lanka’s Head of Commercial, Rohan Perera said that the reason they began operating flights to Maldives was to make it easier for Maldivians in Lanka and foreign expatriates in Maldives to travel between both countries. The budget airline will operate flights, three days a week between Ibrahim Nasir International Airport (INIA) and Sri Lanka’s Bandaranaike International Airport. The flights will be on Tuesdays, Thursdays and Saturdays. Departures from Maldives capital Malé and Colombo will be 6:55 pm and 4:30 pm respectively, while arrivals at Malé and Colombo will be 5:55 pm and 8:20 pm respectively. Customers who purchase tickets from September 23 to November 15 will receive special fares of USD 85 for one-way and USD 143 return. After the promotion, ticket fares for return tickets will be USD 163, 174 and 203. Business class return tickets cost USD 172 if purchased two weeks prior to flight, and USD 192, 247 and 278 if one week prior. Expatriates will be charged additional USD 13. Mihin Lanka passengers will also receive the FlySmiles points awarded by Sri Lankan Airlines to frequent flyers. 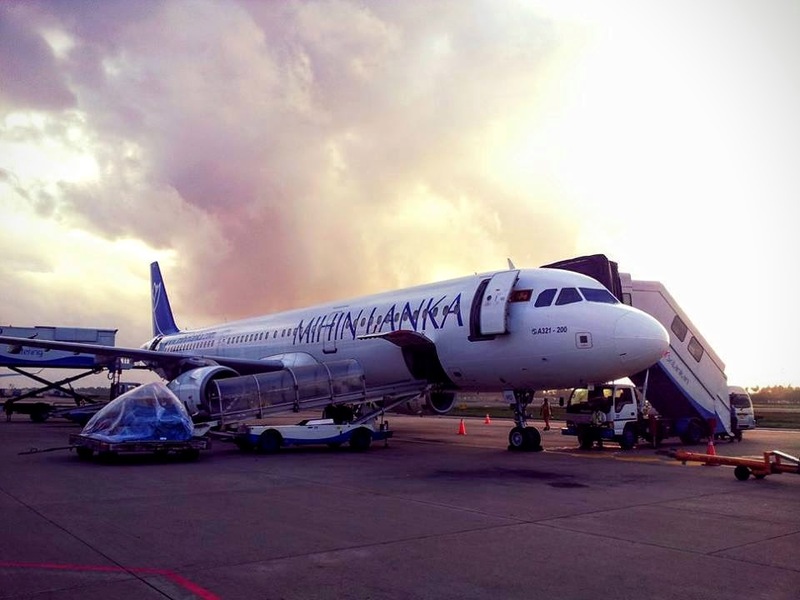 Earlier in June, the Treasury department of the Ministry of Finance stated that Mihin Lanka will be integrated to SriLankan Airlines as its ‘budget carrier’. This is the third time Mihin Lanka has resumed flights to the Maldives. They first commenced in June 2007 and recommenced a second time in December 2010. Ace Aviation added that Mihin Lanka also plans direct route flights between Gan International Airport and Lankan capital, Colombo at the end of this year.